Living Expenses are foremost on everyone’s mind, particularly in today’s bleak economic times. Wondering how much the Cost of Living in Singapore is? and how it compares to what you spend back home? Expenses: How much will I spend? 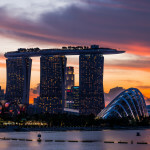 Mercer’s cost of living survey published in July 2009 showed Singapore moved up three more ranks to become the 10th most expensive city in the world, for expatriates. 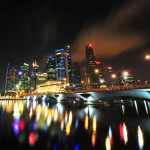 Within Asia, Singapore remains the 5th most expensive, after Tokyo, Osaka, Hong Kong, and Beijing. Your biggest expenses are likely to be rent, transport (if you buy a car), and schooling (if you have children studying in international schools). You can minimize rent costs by sharing a flat, living in an HDB, or living further away from the city center – but wherever you go, property prices are pretty high in Singapore these days. Xpatxperience explains the relative cost of housing, ranging from single rooms 30 minutes out of town (around S$400) to centrally-located 4-bedroom landed properties with private swimming pools (S$10,000 to S$20,000). These are approximations, of course – prices vary wildly depending on the location and condition of the property. The same page gives a detailed rundown of comparative costs for different types of cars, and typical miscellaneous expenses. Every household has different needs. If you’d like to check things out for yourself, take a look at some of these links. FairPrice Online and Cold Storage supermarkets have online catalogs where you can check the price of your typical shopping card. Mobile phone price plans from Singtel and Starhub. Browse through Property Guides for a feel of housing prices. A Big Mac from McDonald’s. Use the taxi fare calculator to see how much it will cost you to get from home to work. Housing.The Housing Development Board releases quarterly statistics on HDB flat prices, for both resale and rentals. See the Househunting section for more information on what to expect and what to look for when renting a property. Public transport in Singapore is convenient and cheap, but buying and maintaining a car is expensive in Singapore. Check out the cost of car ownership or see the Driving in Singapore section for more information. Do you have kids? Your decision of whether to put your kids in international schools or local schools will probably be the biggest factor in your education expenses. International schools’ tuition fees can range from S$6,000 to over S$20,000 per year. If you’re looking to employ household help, check out our guide on how much it costs to hire a maid and look up the current rate for the maid levy. Are you a student? Singapore Education estimates that a typical international student spends about S$750 to S$2000 a year, excluding course fees. The estimate is a bit outdated (2007) but still helpful. For scholars and other students whose room and board costs are covered, the Ministry of Education estimates that you may need S$200-S$300 a month, ranging to over S$500 at the high end. Compare with costs back home. Costs are relative, of course, so it’s important to compare with what you would normally spend back home. 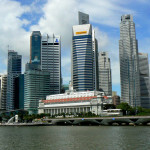 For example, if you are moving to Singapore from India or the Philippines, housing costs are likely to be a huge shock. 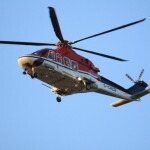 Expat Forum describes typical Singapore expenses in euro terms. 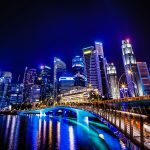 Sandeep, an Indian blogger who’s moved to Singapore, wrote up his analysis of the cost of living in Singapore on his blog. The biggest variable will be rent, followed by food and schooling. If you want to live in a condo downtown, you can easily end up paying two to five times the $1,600 monthly figure he quotes for an HDB flat. The rest of the expenses, such as Internet connections and cable TV, shouldn’t vary too much for middle-income earners. His blog also provides tips on where to buy cheap groceries and furniture. Sandeep’s even posted a special analysis of the cost of living in Singapore if you’re single. 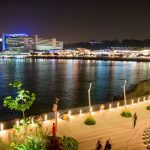 The SIGIR 08 blog compares prices of common purchases against Singapore’s Southeast Asian neighbours, and reminds visitors that tipping is not a common practice in Singapore (there is usually a service charge included in the bill). Income: How much do I need to earn? Xpatxperience projected a figure for how much an expat couple needs to earn in order to live “comfortably”: S$78,000 nett a year. Naturally, your mileage may vary depending on your definition of “comfortable”! What’s the normal wage in Singapore? Each June, the Ministry of Manpower publishes a Singapore wage report with key statistics for the previous year. Salary.SG offers a quick tool to benchmark your annual salary against typical salaries for resident taxpayers in Singapore. This is data based on the IRAS annual reports. Don’t forget to consider currency fluctuation when negotiating your pay package. Tax is another consideration. Tax rates in Singapore are low compared to the rest of the region, and much lower compared to Australia or Europe. Keep that in mind when calculating your net income. For more information on taxes, browse through the tax section of our Practicalities page. 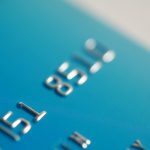 If you’re lucky enough to have a traditional expat package, the two biggest items you should ask for are support for housing and school costs. A car is less important – unless you have small children or live far from the city, it’s very easy to get around using the subway system. Taxis are plentiful and relatively cheap compared to most first-world countries. A tip if you are coming from the Philippines. 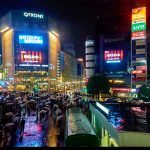 A rough rule of thumb is that in Singapore, you should be earning approximately twice the amount you were making in Manila, in order to maintain a similar lifestyle. Prepare to move into a smaller apartment and give up your car – but the money you earn and save in Singapore will help you build up your nest egg. Share a flat instead of renting a whole unit. Live in an HDB flat instead of a condo. Don’t live near the MRT stations. Stay a little further out and take the bus. Do your grocery shopping at FairPrice. Instead of signing up for a gym membership, work out at ClubFITT community gyms. Rent books from San Bookshop instead of buying, or pick up second-hand books for a few dollars at Bras Basah Shopping Complex. 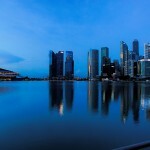 If you haven’t already, start looking at the range of property prices in Singapore to get a feel for what is likely to be your biggest monthly expense. 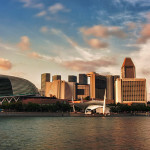 Once you’ve got househunting well under way, turn your thoughts to your other preparations for moving to Singapore.